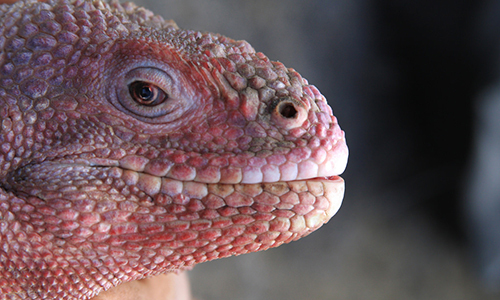 Only recently described as a separate species, the Galapagos pink land iguana is now on the brink of extinction. One of Galapagos’ most recently described species is also one of its genetically oldest. Pink iguanas are not just a different colour from other land iguanas; they are a completely separate species. There are only around 200 left, and they are confined to the slopes of Wolf Volcano on Isabela, making them one of the most vulnerable species in Galapagos, as the volcano is still active. First spotted and described by National Park rangers in 1986, it wasn’t until 2009 that the pink iguana was officially classified as a separate species to the other land iguanas on Galapagos as initially it was passed off as an oddity. Further genetic analysis suggests that the divergence happened 5.7 million years ago, making it one of the oldest events of divergence recorded in Galapagos. 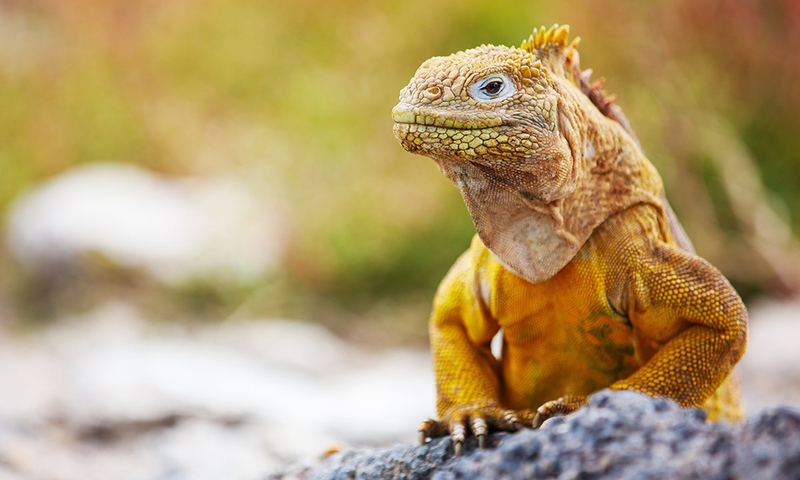 Similar in appearance to Galapagos land iguanas, they have a short head and powerful hind legs with sharp claws on their toes, but despite their intimidating appearance they are primarily herbivores – feeding on prickly pear leaves and fruit. Their only defining characteristic is their colouring; pink with dark vertical stripes along their body. The pink colouration is due to the lack of pigment in their skin, allowing you to see the blood underneath. Where to see them: The pink iguana is only found across 25km2 on the slopes of Wolf Volcano in the north of Isabela. Threats: There are invasive rats and feral cats present in the range of the pink iguana which means that predation on eggs and young is likely. The main threat is volcanic eruptions or periodic droughts due to the small size of the population. Conservation action: Vital research is being carried out to learn more about this species as little is still known about them. We are working on a project which is establishing the first steps for the reintroduction of Galapagos land iguanas, related to the pink land iguana, to Santiago island.